Satisfy your appetite for lunch or dinner at Pandan Lobby Lounge, a bar which specializes in international cuisine, or stay in and take advantage of the room service (during limited hours). Quench your thirst with your favorite drink at the poolside bar. A complimentary buffet breakfast is served daily from 7 AM to 11 AM. Enjoy a meal at the restaurant or snacks in the coffee shop/café. The villa also offers 24-hour room service. Relax with your favorite drink at the bar/lounge or the poolside bar. A complimentary English breakfast is served daily from 6:00 AM to 10:30 AM. 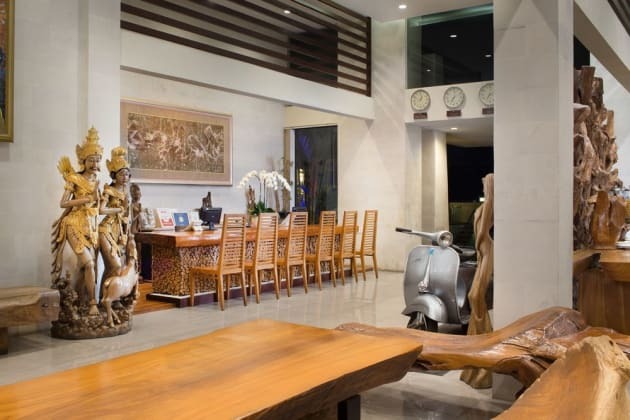 Located in Seminyak (Central Seminyak), The Seminyak Suite - Private Villa - By Astadala is within a 10-minute drive of Eat Street and Legian Beach. 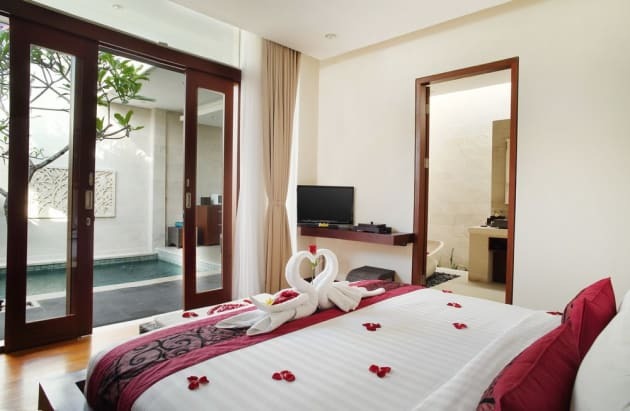 This 4.5-star resort is 0.7 mi (1 km) from Double Six Beach and 1.9 mi (3.1 km) from Seminyak Beach. Make yourself at home in one of the 48 air-conditioned rooms featuring kitchenettes with full-sized refrigerators/freezers and stovetops. Your Select Comfort bed comes with premium bedding, and all rooms are furnished with sofa beds. Rooms have private balconies. 29-inch LCD televisions with cable programming provide entertainment, while complimentary wireless Internet access keeps you connected.